Free Membership @JerichoWriters – LISP 4th Quarter 2018 News! Writers! We have great news. 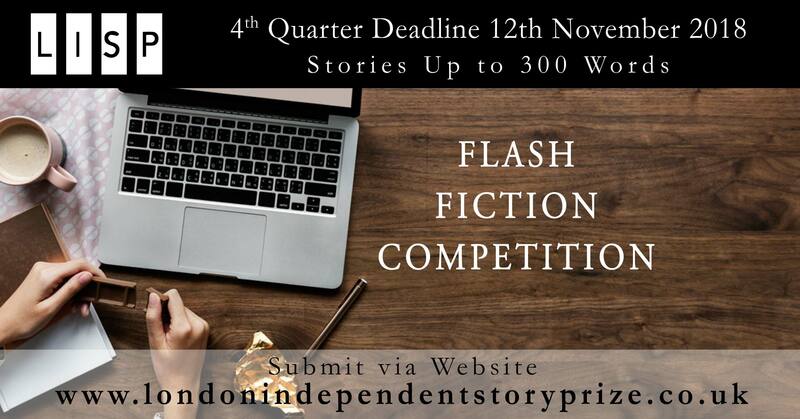 The London Independent Story Prize 4th Quarter Deadline is on 12th November 2018. And beside the £200 cash prize, our winner will also receive One-Year Membership from Jericho Writers, which is worth £195.00! 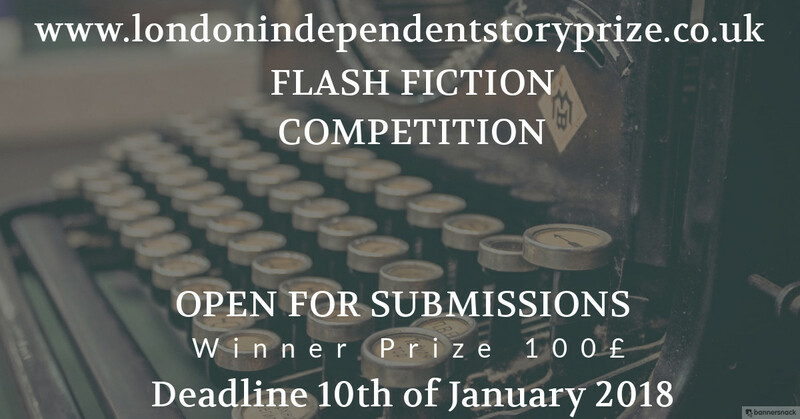 LISP is accepting 300 Word Flash Fiction stories NOW! Deadline is coming, so hurry up. Don’t miss the great prizes! Jericho Writers is a club for writers, created by writers. They organise wonderful courses, webinars, one-to-one agent meetings, and great events that you can extend your network. Simply, Jericho Writers is helping writers to get published. Click to read the success stories! Please click the link to find out more about this wonderful platform! AND CLICK HERE TO SUBMIT YOUR STORY !! Shooter Literary Magazine invites submissions of short fiction, non-fiction and poetry on the theme of “Dirty Money” for its summer 2018 issue. Writers should submit stories, essays, reported narratives and poetry on anything to do with dough, whether rolling in it or scrounging for it. We want to read about playboys and girls, corrupt bankers, hard-up students, entrepreneurs, gamblers, thieves, grafters – anyone affected by money in any compelling way. Are riches really the root of all evil, or the key to the world’s delights? Please visit https://shooterlitmag.com/submissions for guidelines; deadline is April 8th, 2018. Successful writers will hear from us within a few weeks of the deadline, if not before, and receive payment and a copy of the issue. Due to the volume of submissions we no longer send rejection emails. The 2018 Shooter Short Story Competition is also now open, with a newly reduced entry fee for those wishing to submit more than one story. Find guidelines for entering the competition at https://shooterlitmag.com/competition. Words and Women are excited to announce the winners of their 2017/2018 national and regional new writing competition. Kerry Hood’s intriguing and ambitious short story, The Sunbathers, wins the national prize for women over 40, £1,000 and a month-long writing retreat at Church Cottage, Stratford-Upon-Avon, generously sponsored by Hosking Houses Trust. Margaret Meyer has been awarded the East of England regional prize of £600 and a mentoring session with Gold Dust for her entry, The Once and Only First Lady Judge. Kerry Hood is no stranger to competitions. She has been shortlisted for the Bridport Prize five times, as well as broadcasting stories on BBC Radio 4. She is an accomplished theatre writer with work produced at the Soho Theatre, and her play Meeting Myself Coming Back was selected as the Sunday Times Critics’ Choice. She has had residences at the National Theatre, Traverse and RADA. rgaret Meyer has previously been a fiction editor, publisher, British Council Director of Literature and a reader-in-residence in Norfolk prisons. As a therapeutic arts practitioner she provides writing and reading-for-wellbeing programmes for ex-offenders. In 2016 she won a place on the Escalator writer development scheme run by Writers’ Centre Norwich and in 2017 she was awarded an Arts Council England grant towards her first novel, The Varieties of Flight. The competition now in its fifth year and open to women writers is unusual because it offers an opportunity to enter not only fiction but non-fiction, memoir, and life-writing. This years’ winning texts will appear alongside past successful entrants in a compendium of the best of women’s contemporary short prose, launched on International Women’s Day, March 8th, 2018. ‘Congratulations to our worthy winning writers. We had 350 entries and picking the most distinctive and ambitious texts was no easy task. We are grateful to our brilliant judges for making such bold selections, and we really look forward to launching our compendium which will feature not only this year’s compelling and engaging writing but the best of the best in past years,’ said Belona Greenwood, co-organiser of Words and Women. ‘It has been a very exciting year for women’s writing,’ said Lynne Bryan, co-organiser. ‘We are extremely grateful to our sponsors. Hosking Houses Trust is a unique charity which offers women over the age of 40 time in which to start, continue or complete interesting or innovative work, in a residency free from the pressures of everyday life. Jill Dawson, author of nine novels and founder of Gold Dust mentoring scheme is a wonderful supporter of our regional award.